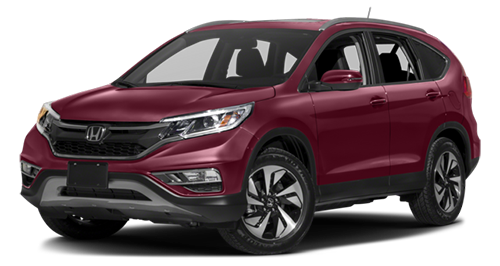 The 2016 Honda CR-V is a family-friendly crossover utility vehicle, and the CR-V Touring is the range-topping trim level, which is packed with luxurious and high-tech features. If you’re looking for an extremely well equipped vehicle in this class, you won’t find anything that delivers more than the CR-V, and you won’t find this level of equipment unless you look into the luxury market. Find out more about what the Touring has to offer here at Brilliance Honda of Crystal Lake in the Elgin, IL area. The 2016 Honda CR-V Touring is powered by a 2.4L engine that puts out 185 hp and 181 lb-ft of torque and uses a continuously variable transmission. The EPA estimates that the standard front-wheel drive version will achieve 26 mpg city/33 mpg highway/29 mpg combined*, while the all-wheel drive version earns an EPA estimated 25 mpg city/31 mpg highway/27 mpg combined. Considering how well equipped the CR-V Touring is, it’s no surprise it’s earned the highest ratings from the National Highway Traffic Safety Administration** with a five-star overall crash test rating, along with the 2016 Top Safety Pick+ rating from the Insurance Institute for Highway Safety, when equipped with Honda Sensing. , and we have the CR-V in stock now!